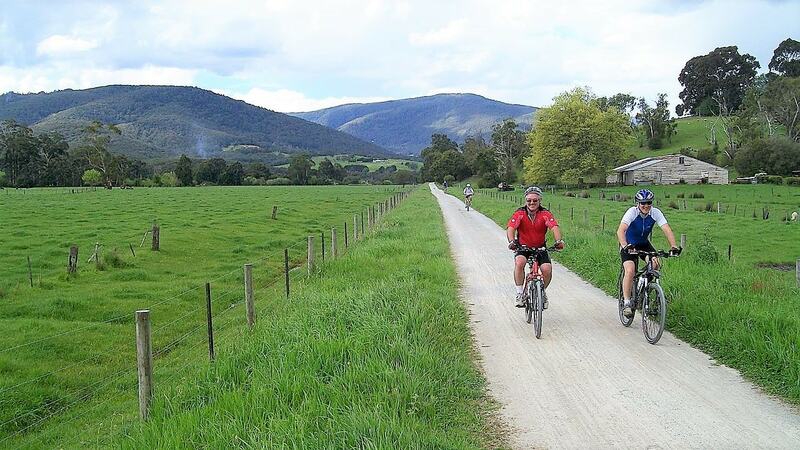 There are more than 135 km of on-and off-road cycling routes in Melbourne, not to mention the countless other regional trails that meander through Victoria. Feel those calves burn on the Lilydale-Warburton Rail Trail, see the sights on the Capital City Trail and get a taste of Melbourne’s artistic culture on the short Banksia Park to Heide Trail. Hop on and clip in as it’s time to explore the city and its surrounds on two wheels. Hire a blue share bike and take in Melbourne’s most iconic attractions along the 29 kilometer Capital City Trail. Start peddling at Princes Bridge, near Flinders Street Station and follow the loop past sights such as Alexandra Gardens, the MCG, Melbourne Zoo, Docklands, Dights Falls and Abbotsford Convent just to name a few. The Capital City Trail intersects with numerous other trails shared by pedestrians and cyclists meaning that you can easily branch off and explore others parts of Melbourne. Following a historic, disused railway line dating back to the 1900s, the Lilydale-Warburton Rail Trail is 38 kilometers one way. Starting at Lilydale Railway Station, you’ll travel through scenic bushland, farmland, forests, and vineyards. The trail has very few road crossings and is clearly signed, but cyclists should be mindful as the trail is used by pedestrians and horse riders. Once you’ve reached the finish line in Warburton, relax at one of the regions many wineries. Following a north-west trajectory along the winding Maribyrnong River, this trail is one of the most beautiful in Melbourne. Starting at Southbank the 25 kilometer trail passes the historic Polly Woodside sailing ship before crossing the Yarra River and riding through Docklands towards Footscray Road which intersects with the Maribyrnong River. At approximately half way you can stop at Pipemakers Park and visit the Living Museum of the West before continuing through native bushland and Melbourne-Sydney rail line and Western Ring Road to Brimbank Park. Melbourne is so imbued with culture that even our bike paths offer an artistic experience. Located next to Banksia Park, Heide Museum of Modern Art is a public art gallery and museum and the former stomping ground of many of Australia’s best modernist painters including Joseph Boyd, Albert Tucker and Sydney Nolan. The five kilometre, family-friendly ride starts at Banksia Park in Bulleen and meanders through the Sculpture Park at Heide. 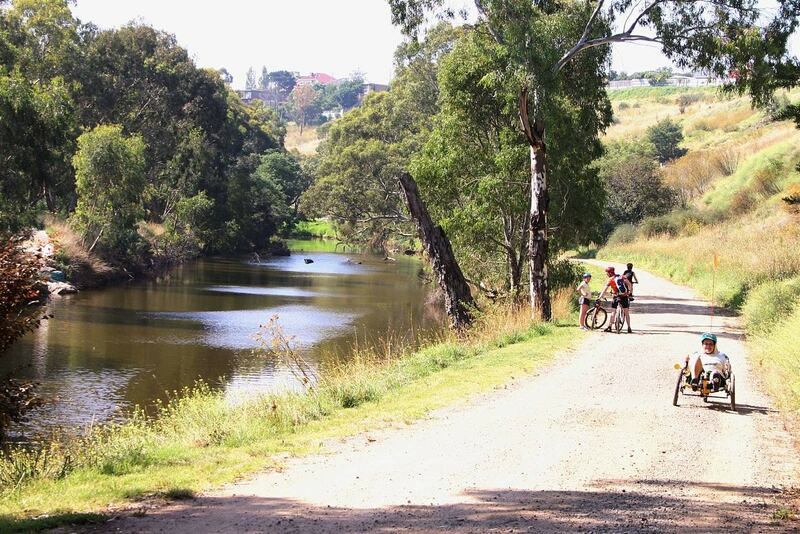 Those looking to ride further can take the adjoining Main Yarra Trail. Whiz across the coast on a 24 kilometer journey past wetlands, picturesque beaches, botanic gardens, and the maritime village of Williamstown. The Hobsons Bay Coastal Trail, which boasts 3 meter wide paths and nautical signage begins near the Westgate Bridge and south towards Williamstown before ending at Skeleton Creek. Along the trail you’ll observe wildlife and public artworks and encounter bird watchers. Hobsons Bay Coastal Trail connects with the Maribyrnong River Trail, Kororoit Creek Trail, Laverton Creek Trail, and Skeleton Creek Trail.